Provide comfort for the family of Vernon Manning ("Charlie", "Butch") Weaver with a meaningful gesture of sympathy. Passed away peacefully at Lakeside Homes, Gander on Monday, February 25th, 2019, Vernon Weaver, age 76. Predeceased by his beloved wife of 49 years Ada Marie, brother Sherman Weaver, brother-in-law Roger Chedore, sister-in-law Margaret Weaver, parents Vernon and Rae Weaver, and parents-in-law Nellie and Chesley Rodgers. Left to mourn with loving memories are his daughters Julie Weaver, Jeanne (Trevor) Dixon; grandchildren Tyler, Chase and Autumn; sisters Bootsie (Gabriel) Lewis of Saint John NB, Dawn Chedore of Saint John NB and Sally Theobald of Burlington ON; sisters-in-law Olive Burke of Corner Brook, Linda Rodgers of Montreal, Nancy Weaver of Kelowna, B.C. ; brother-in-law Gordon (Paula) Rodgers of Paradise, and many other relatives and friends. Resting at Stacey’s Funeral Home, Gander on Thursday, February 28th from 2:00 P.M. – 4:00 P.M. and 7:00 P.M. – 9:00 P.M. A small private funeral service will take place. Interment will follow. Flowers gratefully accepted or donations in Vernon’s memory may be made to the Alzheimer Society of Newfoundland and Labrador, 107-835 Topsail Road, Mount Pearl, NL. A1N 3J6. Dad was born in beautiful Doaktown, NB and grew up fishing salmon from the banks of the Miramichi river. He loved the outdoors and fished and hunted from a young age. He was an active boy and often got into mischief by doing such things as teasing his sisters and horrifying his mother by skinning a mouse with a paring knife. He once hid in the back seat of the car, popping up to surprise the wits out of his father in the middle of a journey to a different town. As you can imagine, he could be a bit of a worry to his mother. 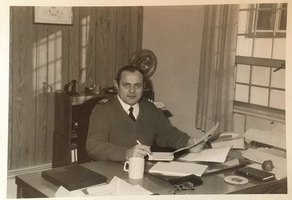 He had a taste for adventure and joined the Royal Canadian Navy in 1961, beginning a career which would span 34 years and that took him to places as diverse as Bermuda, Inuvik and Alert. He retired as a Major from the Royal Canadian Air Force in 1995. He met and married the love of his life, Marie, raised a family, made many lifelong friends and created many memories during these years. Besides family, Dad's greatest loves were being around water or in the woods and he enjoyed team sports such as baseball, darts and curling. 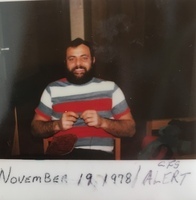 He stayed active during his early retirement years by joining the Royal Canadian Legion in Gander and was a longtime member of Gander Masonic Lodge. It's hard to sum up a life in a few words. Dad was a witty, kind and loving man who had high integrity and a strong sense of duty. We love him dearly and will miss him. The daughters would like to give special thanks to the loving and professional staff of Lakeside Homes, Gander and to the wonderful friends and family who supported us over these last few years. Your kindness has been a blessing. To send flowers in memory of Vernon Manning ("Charlie", "Butch") Weaver, please visit our Heartfelt Sympathies Store. We encourage you to share your most beloved memories of Vernon Manning ("Charlie", "Butch") here, so that the family and other loved ones can always see it. You can upload cherished photographs, or share your favorite stories, and can even comment on those shared by others. 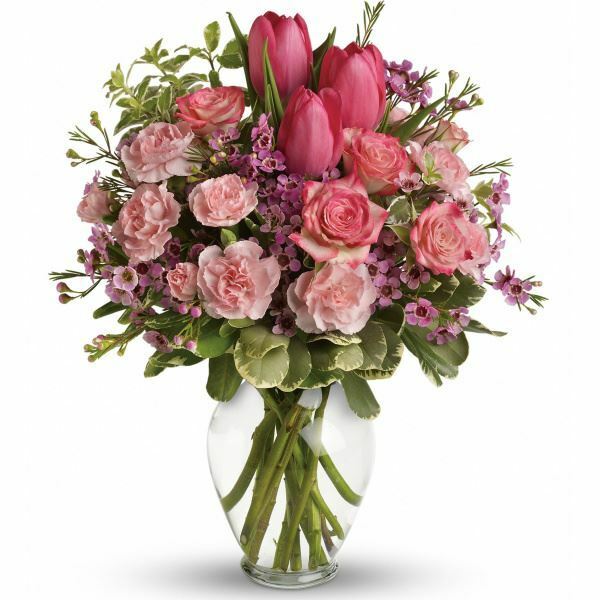 Provide comfort for the family of Vernon Manning ("Charlie", "Butch") Weaver by sending flowers. I am so sorry to read of Charlie's passing. He was a wonderful, kind and gentle man. Although I haven't seen Charlie for several years. I fondly remember listening to his stories about his life in other parts of the world and all the interesting things that happened around the pond. Charlie will be missed by all his friends. To Jeanne & Julie - sending our partners and hugs. From Vicki, Cathy, Mika and Holly. Heartfelt Sympathies Store purchased flowers for the family of Vernon Manning ("Charlie", "Butch") Weaver.